Twitter, the biggest Social Media platform used for vital communication is now banned in Turkey from the last few days, after Prime Minister Recep Tayyip Erdoğan promised to root out the social media service during an election rally this week with the help of a court order. After the ban imposed on Twitter late on Thursday, millions of Turkey users began using Google’s DNS service to bypassing censorship, that briefly helped Turks stay connected to Twitter. 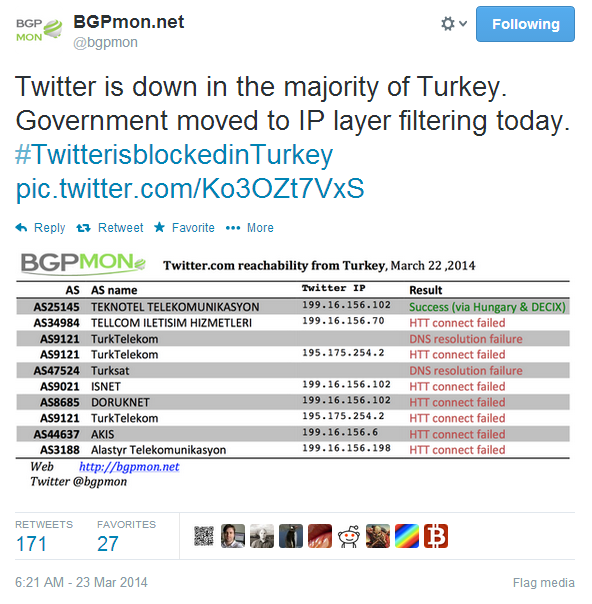 Turkey Government is trying to close all the possible loopholes that had allowed users to circumvent the ban and finally today the authorities have also blocked the Google DNS service (8.8.8.8 and 8.8.4.4), However the number of tweets jumped 138% in the last 24 Hours and almost 2.5 million tweets have been posted from the country after the ban imposed. 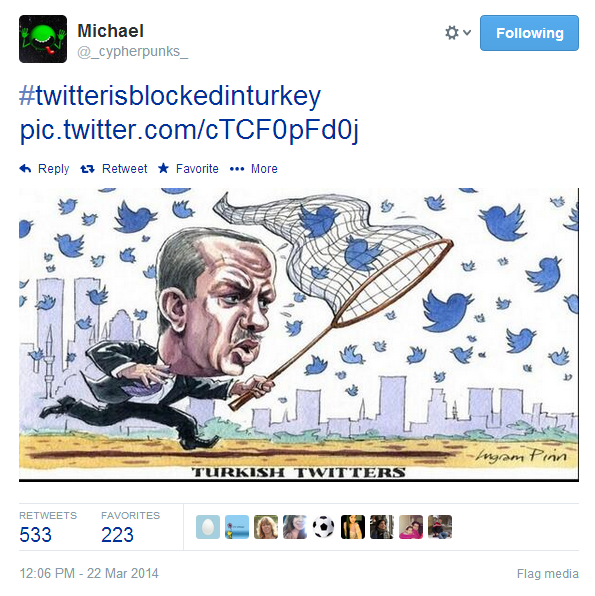 Why Turkey Government Banned Twitter? According to media reports, Earlier this month a voice recording of the prime minister was leaked on YouTube and Twitter, which include the audio of Prime Minister Recep Tayyip Erdoğan instructing his son to dispose of large amounts of cash in the midst of a police investigation. Erdogan has dismissed most of the audio recordings as a vile montage put together by his political rivals. Twitter reportedly refused to delete incriminating audio of him. s;“Twitter has been used as a means to carry out systematic character assassinations by circulating illegally acquired recordings, fake and fabricated records of wiretapping,” the prime minister’s office of public diplomacy said in a statement. Turkey has blocked access to YouTube in the past, but this is the first ban on Twitter, which is hugely popular in the country. USE VPN OR Tor: Besides the Google DNS, people in Turkey have been using Open DNS, VPN and SMS services to get the word out. Twitter is still accessible for the tech savvy via Virtual Private Networks (VPN) or by the Tor Browser Bundle. [How to install and use Tor]. Access Twitter via SMS: Turkish users can also send Tweets using SMS. "Avea and Vodafone text START to 2444. Turkcell text START to 2555." However, President Abdullah Gul is also in talks with Twitter to reach a speedy resolution to the block on the website in Turkey. 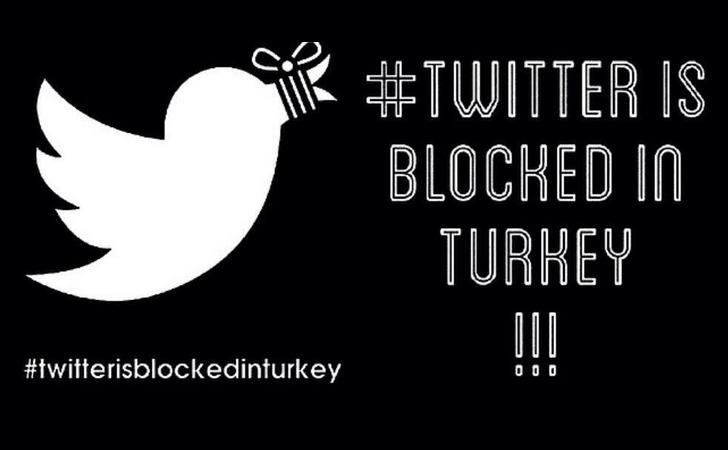 Twitter has taken action against the Turkish government’s blocking of access to it and hired a lawyer expert 'Gönenç Gürkaynak' in litigations related to Cyberlaw, who met with officials from Turkey’s Telecommunications Authority (TİB) in Ankara on behalf of Tweeter. Union of Turkish Bar Associations (TBB) filed a petition in an Istanbul court for the lifting of the ban. “A total ban on Twitter access is a violation of the European Convention on Human Rights, the Turkish Constitution and Law 5651 that includes Internet regulations. The TTB has applied to the courts for the immediate lifting of the ban. In addition, criminal complaints have been filed for those responsible for the ban ruling and the officials who applied the ban,” TBB head Metin Feyzioğlu said in a statement.